Train journey is most enjoyable as one can spend time leisurely eating the choicest delicacies looking through the window at the different culture, fields, people and more … as the train chughs past different areas. Interestingly, Indian Trains have Names besides the Numbers – I had earlier posted on the names of the trains too. There are some prestigious trains and then there are Superfast trains – they make fewer stops, cover distances in lower time span. Recently, 16 Express got the Superfast tag... but some complain that there is no impact other than rise in fare. Some regular users complain that the superfast tag makes the passengers pay more with apparent no difference in running hours and more so in cleanliness. Inside Tamilnadu, it is stated that southbound trains cannot clock shorter running hours without double lines. Superfast trains are delayed by as much as express trains because there is no double line from the south – says Railway sources. Another report quoting a Senior Official states that recently upgraded Chennai-Mangalore West Coast Express skips its cleaning schedule of 15 minutes at Erode station so that it clocks the 55kmph mandatory for superfast trains, which impacts its cleanliness. Away from the speed melee, there is Nilgiri Mountain railway. Nilgiri Hills are a range of mountains forming part of Western Ghats. Nilgiri Mountain Railway was built by the British in 1908 and even now operated by steam locomotives. 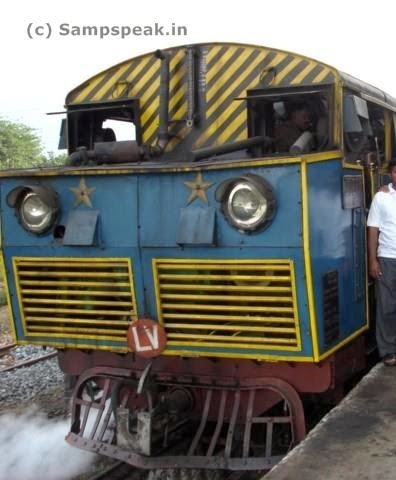 By some accounts, Southern Railway, incurs an annual shortfall of Rs 4 crores, for operating this. To many it offers great pleasure of sightseeing of mountain range – some say it is too slow ! Railways is a very vast network crisscrossing the Nation – and quite unfortunately about 15,000 people die every year in railway related accidents. The safety panel for Railways states that new bridges and overpasses are urgently needed, and some of its recommendations to make the world's fourth largest railway system safer had been ignored. Many a deaths occur at unmanned railroad crossings; and thousands die in the crowded suburban rail networks of the metros. 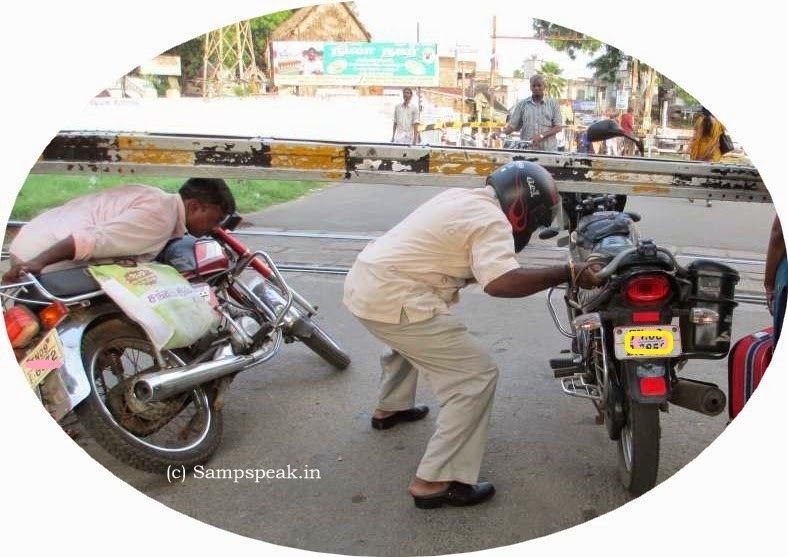 Besides inevitable train accidents, some contribute to fatality by negligent crossing – mobile phones too contribute as reckless individuals keep talking on phone, even when crossing the train tracks. A 51 year old deaf man’s death is different .... it is reported that the man died in the hospitalafter he was hit by a train on the Nilgiri Mountain Railway (NMR) section near Wellington railway station. It is stated that this is the first recorded case of a human fatality in an accident on the NMR section. Newspaper reports suggest that Patrick, a daily wage worker, was walking along the Coonoor-Wellington railway track on Sunday evening when the accident took place. The passenger train was heading towards Ooty from Coonoor. Patrick sustained severe injuries to the limbs. He was treated in Coonoor Government Hospital and later in Coimbatore Medical College and Hospital, where he died on Monday morning. The Coonoor railway police said Patrick had hearing problems and he didn’t hear when the locomotive driver honked. “The locomotive driver applied the hand break but the train took time to stop stop as it had gained momentum while being powered on an uphill section,” the officer said. The railway police registered a case under Section 174 of the Railway Act, under which walking alongside or on a railway track is a punishable offence. NMR runs at a very gentle pace – those who had travelled by this would vouch .... one can easily get out of the moving train at many places, especially before it picks up some speed after leaving stations. Between Mettupalayam and Coonoor, the line uses the rack and pinion system to climb the steep gradient. At these places, the running is much slower – and hence the fatality reported is unique in some way.